​​When I was a student at Wharton, I knew that the green costs of living should be tax deductible. Ever since, I have been evaluating the requirement to have this practise applied as a vital one to survive. The ecological crises became apparent in the sixties. That they kept on worsening increased my conviction that I had to continue trying to have the consumer remunerated for his Nature respecting purchases. While thinking how to prove scientifically the necessity for such compensations, I founded three new concepts in the science of economy. They form the base of the prerequisite to recognise that the consumer has a professional responsibility in the operation of the economy, namely, to ensure a development of the economy that continues to meander between the ever green boundaries of Nature. Only the consumer can ensure such a development because he can do it by adapting his ways of living, I realised. ​for this and following generations. ​* "Something exists more powerful than all the armies of the world, it is an idea which' hour has come". "Practises that make sustainable development a reality"
"Goal Hitting Management of the Costs of Living" and "The Natural Responsibility of the Consumer for Nature & the Maintenance of the Integrity of Human Nature" were both published with the DB logo in Environment in Europe Newsletter 95/3, by CEEWEB (Central & East European Working Group for the Enhancement of Bio-diversity) as part of a joint campaign with EURONATURE for the "Environment in Europe" project", and supported under the European Union Commission's DG XI, Miscolc, Hungary, 1995. ​1st IIPT European Conference, Bridging the North-South Divide through Sustainable Tourism Development, 21-24 October 2008, Leeuwarden, The Netherlands Presented the paper: “Invitation to participate in the development of tourism that ensures sustainable development in a measurable way” It was dealt with under the topic, Strategies and measures towards responsible tourism. Citizen's Parliament Sustainable Consumption, organised by the Brussels Institute for the Environment, the Consumer Organisations Research and Information Centre and the Association of Cities and Regions for Recycling, Brussels, Belgium, March 14 and 15, 2003. Participated in the workshops in preparation of the Parliament and presented the proposal to test to what extent consumers will change their way of living if they can deduct from their taxable income the money they spent on ecological products. Euro Environment 2002, Aalborg, Denmark, October 21 to 23, 2002, presented the paper : "The demand of consumers for ecological products as a prerequisite for businesses to become the agent of global sustainability". Tax-breaks for environmental spending ? Well, why not ??? The free-market economy is a siren, a siren whose song lures the consumer into using up more and more goods forever. Such a goal and the financial ability to strive for it threaten the very life of the planet. Can the consumer's buying habits be changed, and thereby, the world's economy? Some of the world's Earth-oriented scholars have dreams about that. Such a scholar is Wim A. de Bruyn, the founder of 'ZERO', an association of consumers hoping to maintain the integrity of the Earth's resources by using their incomes ecologically. This Dutch-born resident of Belgium believes that everyone can learn to live ecologically, especially if there are tangible benefits. The benefits de Bruyn envisions are basic: consumers should be able to deduct from their taxable income the money they spend on ecological products. For example, business might change over to energy-efficient processes; pressured, perhaps, by consumers who want to retrofit their homes for reduced energy consumption. "At a certain moment, it would be evident that the capacity of the consumer to deduct costs of living with ecological products from taxable income effectively opens a way of living in harmony with nature." de Bruyn has said. In de Bruyn's opinion, palpable, immediate tax advantages to consumers will encourage them to search for goods and services that do not "fly in the face" of Nature. He believes that the value of this new environmental approach can assure income for the foreseeable future through longer-lasting natural resources. A combination of personal and financial forces will, he hopes, bring consumers into an ecologically-oriented version of the free market economy. De Bruyn foresees that this bond can lead to "the demand from billions of consumers in the industrialized countries for ecologically sound goods and services... creating a competitive force to improve the ecological quality of these goods and services [in the free market economy]. The industrialized world would co-operate with the non-industrialized world, to develop ecological industry, to satisfy this demand." Such idealism may stagger some jaded environmentalists, but others find de Bruyn's views restorative. It is time for this change, some have said. General populations, in fact, are alarmed at the upsurge and growing severity and drug-resistance of human disease; of impurities in food, air and water; of over-use of pesticides and herbicides; and of the reduced fertility of sperm in men and livestock due to pollution. "People are particularly scared because the number of these problems increases in spite of any government measures," de Bruyn observed. They may, therefore, be ready for new approaches. They may even be ready, he hopes, to chivvy their governments into the new ways. Simplifying for the average citizen, we asked de Bruyn whether the costs of environmental living; i.e. the costs of special purchasing for food, fuel, home-building, etc. are comparable to the buying of office supplies, paying of office rent, licensing of a business... and should be claimed as tax write-offs? "Indeed," de Bruyn replied, "Both classes of costs are comparable, because they both assure income. Costs of production assure income in the short term, costs of living with ecological products in the long term. The costs of living should therefore be managed in the way that the costs of production are managed; as income-assuring and therefore tax-deductible costs." De Bruyn has consulted Belgian tax lawyers about the chance of his idea's taking on reality. Belgian tax law requires that there be a positive correlation between costs and revenues to allow deduction of costs from revenues. For example, costs have to have been undertaken in order to assure revenues. Said de Bruyn: "A lawyer wrote me that I had established this relationship in my theory, and that he would be willing to defend our cause. My tax controller told me that he would pass on my file rapidly, because he agrees with my theory.... Without wide public support, the process will take more than a lifetime. You understand when you know the Belgian judicial system." De Bruyn is working with representatives of other governments and private organizations on experimental projects to prove his principles. One involves creation of a special economic zone in Bahia, Brazil. De Bruyn is in frequent touch with Durval Olivieri, civil engineer and Special Advisor to the State Secretariat for Planning, Science, Technology and Environment, Government of Bahia, Brazil. Olivieri speaks highly of de Bruyn's ideas. In a brief online interview with Ecotopics, Olivieri said, "I do think that a sound tax policy can foster better environmental practices, ranging from land tenure, use and occupation and preservation, besides a leaner resource consumption, with direct results in waste and pollution management. "There is also a good chance to improve institutional public governance, " he added, "by taking taxes from one area and feeding the same amount into other areas. For example, the states can pass revenues on to municipalities that present adequate conservation projects, or give incentives in support of private conservation initiatives." In Brazil, the federal law has not yet foreseen the use of major tax incentives for environmental preservation, Olivieri told us. "Wim´s ideas, we feel, are good ideas. I am hopeful more sensible people of the world will soon see them as right and opportune," the Brazilian official said. "Some of his ideas could be passed on to development agencies to be further studied and implemented." One of de Bruyn's world-spanning associates is Mohamed Trad, ZERO's Representative for Australia and Lebanon. Trad is a postgraduate student and researcher at the University of Adelaide's School of Ecology at the Roseworthy Campus. Trad interpreted for Ecotopics the Islamic trade concept called 'muraabaha', a projection of reasonable profits. "The Muraabaha concept is an Islamic concept of trade," said Mohamed Trad, "In simple words, the consumer should know the initial 'capital' of the product (the price which the merchant got it for), and he should be satisfied by the amount of gain the merchant is trying to get from him." Islam, he adds, disapproves of the charging of interest. One of de Bruyn's proposals is a "race" pitting product-laden vessels in a market competition. "The race" is designed to test the feasibility of establishing a gainfully-operating ecological transport activity, in the free-market economy. (This rather like the intense tea-clipper races of the last century, though for a different purpose). Wim de Bruyn, has been dedicated to his project to the extent that he defines himself professionally as "founder of ZERO." His attainments actually encompass economics, business administration, accounting, and information management as well as hydrology, and philosophy. All these have made it possible for him to lay his principles before governments and organizations around the world as well as to individuals. He graduated with an MBA from the Wharton School of Business, Philadelphia, PA, was a Fulbright exchange student at Antioch College in Yellow Springs, Ohio; took a degree in economics and languages from the College for International Commerce, -- "Nijenrode" -- the Netherlands, and a Postgraduate degree in hydrology at the University of Brussels, Belgium. Wim de Bruyn made significant contributions to the Fifth World Congress on Water Resources of the International Water Resources Association, Ottawa, Canada 1988. Secretary of the Conference Committee, he organized the Fifth World Congress on Water Resources of the International Water Resources Association, held in Brussels in 1985. With another committee member, de Bruyn developed an analysis of humanity's impact on natural resources, based upon the Congress' conclusions. The full Report was published in "Water International." His audio visual presentation with a model that determines humanity's impact on natural resources was presented at the opening session of IWRA's Sixth World Congress on Water Resources, Ottawa, Canada 1988. Political and sociological organizations harbor views which are close to de Bruyn's own. According to Adam Berg, member of the Coordinating Committee of the Green Parties, said to Ecotopics that "In a roundabout way we do believe in tax credits to companies which demonstrate more eco-friendly behavior. However, it wouldn't be a tax credit per se; we believe in true-cost taxation to account for environmental and social costs of products and services. So, in our ideal world, everyone who displays environmentally and socially irresponsible behavior would be taxed, and those who don't display that behavior wouldn't be subject to those taxes (because they're not causing the problem). "The Earth and its natural systems cannot be owned; they are to be respected and cared for in accordance with ecological principles. Concepts of ownership are provisional and temporary, to be employed in the sense of stewardship and of social and ecological responsibility. 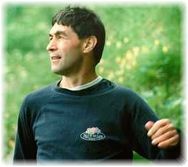 The Greens' ultimate goal, Berg added, is "to align our economic systems with natural ecologies in a sustainable way that does not ultimately degrade or deplete the Earth; to supply an ecologically sustainable level of food, shelter, health services, and education to meet the basic economic needs of each person on the planet." The endless-growth scenario, which de Bruyn also sees as a problem leading inevitably to endless depletion of earthly resources, is found in the considerations of many others who examine the problem. The Green Parties are not alone in viewing the tax picture in terms of punishing the wrong-doers. De Bruyn, on the other hand, prefers the possibilities of making the role of the environmental "Good Guys" attractive. Within fifty years, in many informed opinions, humans who are now spared the dangers of bad air, water, soil and environmentally-caused poverty, will be forced into leaner public policies toward the environment to spare the planet from serious further depletion. The reduction of waste is strongly visible both in time and in human efforts and resources. The gains have put the concepts of quality and environmentally-responsible management hand in hand toward a more sustainable life cycle. And this will be good for all living beings.